fruity and bright, and as delicious as they are good for you. want to make your dishes stand out! range of local fruits and herbs. convert the alcohol to acetic acid. quality and uniqueness of our products. fruity twist to your favourite cocktail! We're pleased to offer a selection of our most popular products in our online store, however our small batch, seasonal approach results in so many varieties that we can't list them all...if you can't find what you're looking for, please use the contact form to get in touch.  For the widest selection of varieties and the chance to sample our products in person, come find our booth at the Salt Spring Saturday Market from April through October. You can also find us at many seasonal festivals and craft fairs throughout the lower mainland and Vancouver Island. Any of our vinegars can be used in place of wine or cider vinegar in all of your favourite recipes. They are an essential part of any salad dressing or marinade. Try them mixed with olive oil to make a flavourful dip for bread or add to sparkling water to make a refreshing sour soda. In addition to the signature varieties featured in our online shop, we also have unique, seasonal varieties available at the events we attend. Right now we’re featuring Black Currant Balsamic, a rich, smoky flavour perfect for winter salads, marinating venison or beef, or dipping with bread and olive oil for an easy appetizer. Made 100% from Salt Spring grown black currants, this variety is also great for adding richness and depth to stews and sauces that need a little extra flavour. Come find us at one of the many markets and craft shows we participate in throughout the year. There's always something new to try.